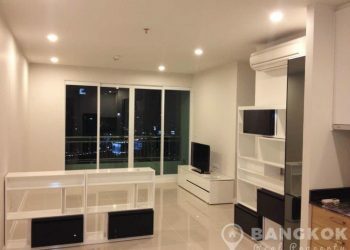 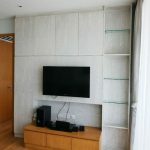 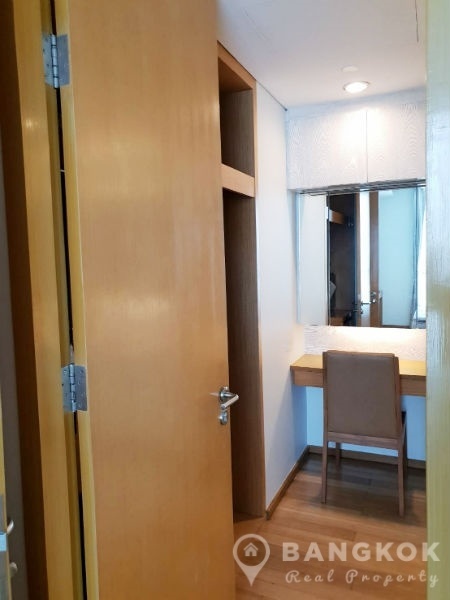 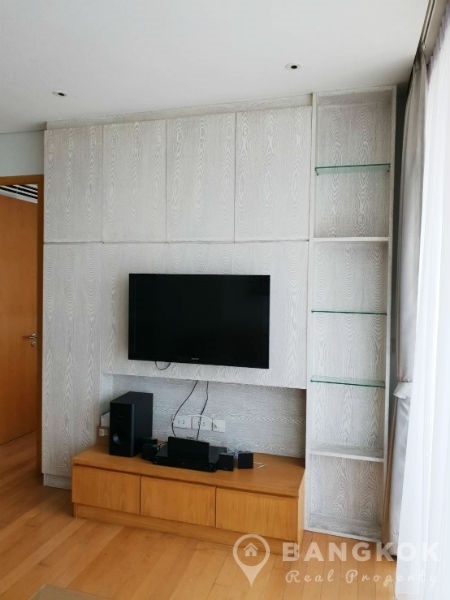 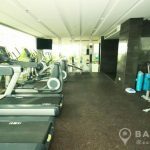 A superb, very spacious, modern 1 bedroom condo is now available to rent at Aequa Sukhumvit 49 superbly located in the heart of Thonglor on Sukhumvit 49 and just 8 minutes (60 metres) walk from BTS Thong Lo. 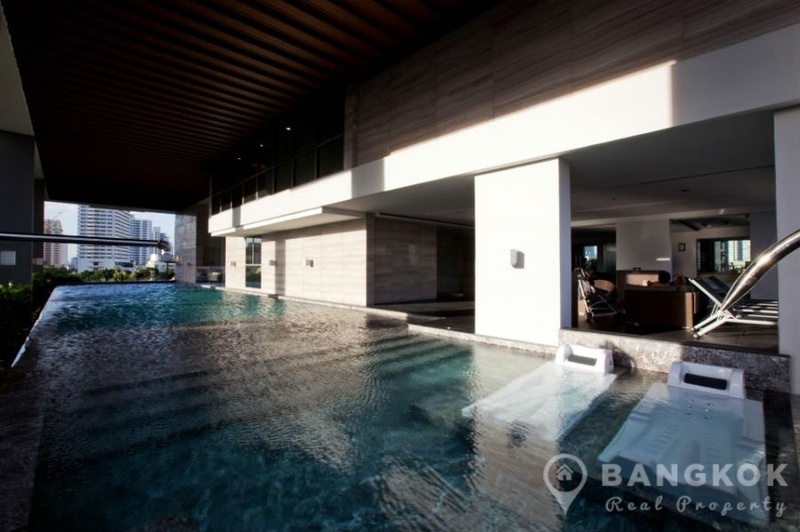 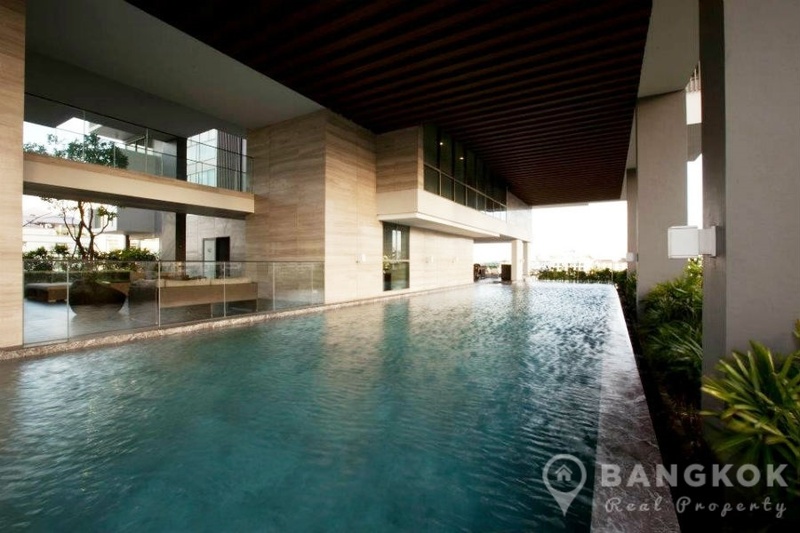 This unique high rise development built in 2012 set a new International standard for elegance and prestige in Bangkok. 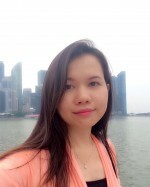 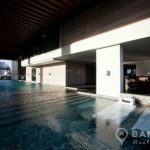 The development is centrally located for city living residents offering easy access to The EM District (EmQuartier + The Emporium), Tops Market, Villa Market, Bangkok Prep International School, Samitivej Sukhumvit Hospital and Benjasiri Park. 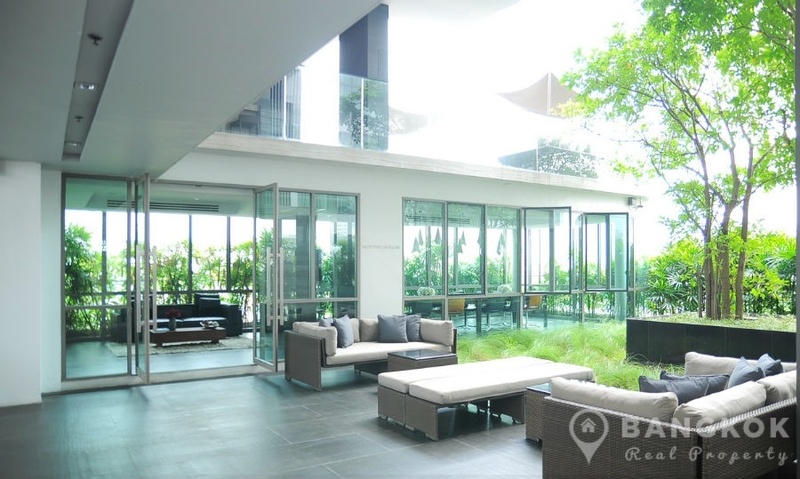 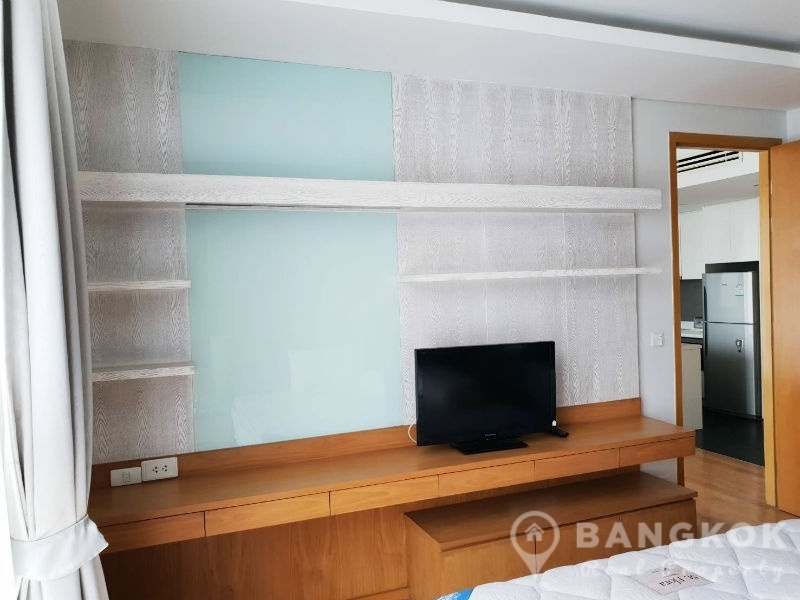 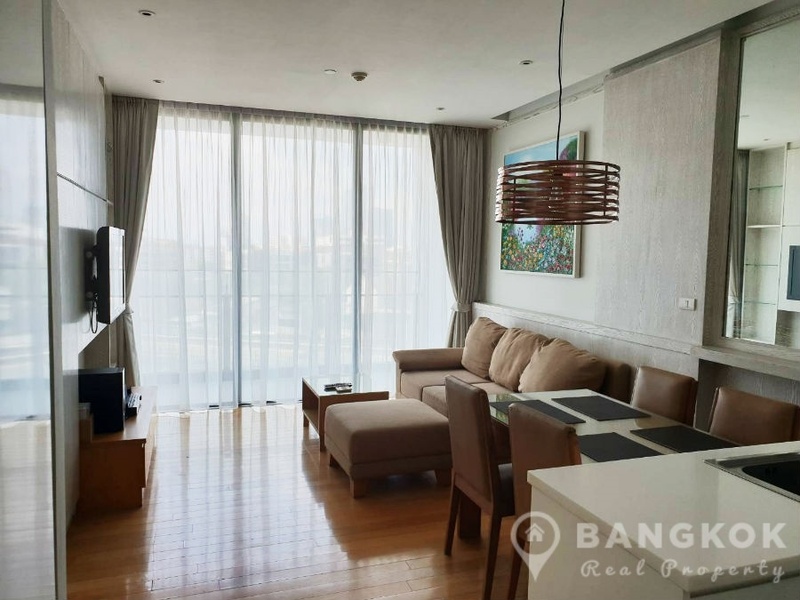 Situated on a low floor of Aequa Sukhumvit 49, this spacious condo has 1 double bedroom, 1 modern bathroom and 58 sq.m of living space with a large balcony and good views. 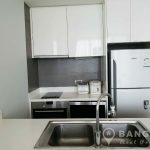 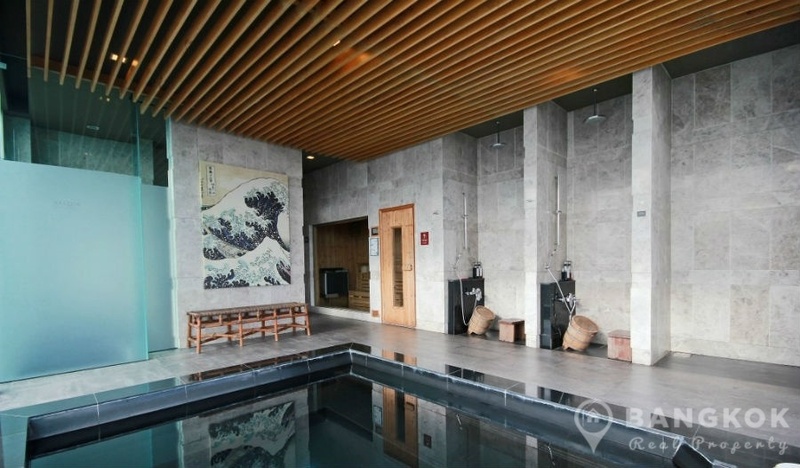 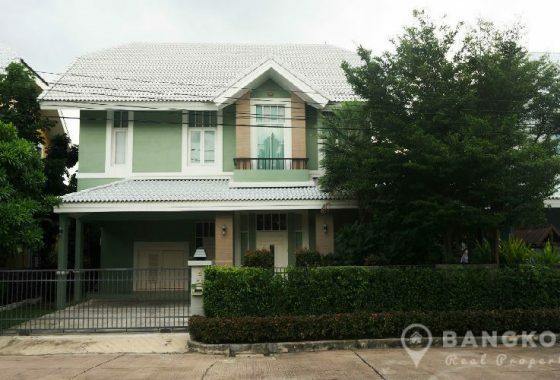 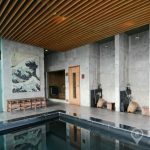 The condo is tastefully and fully furnished, with beech wooden flooring throughout, large picture windows and ceiling concealed air conditioning units. 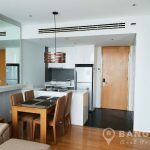 The open plan livingroom – kitchen with LCD TV, large sliding doors to the balcony and a modern kitchen with bar counter. 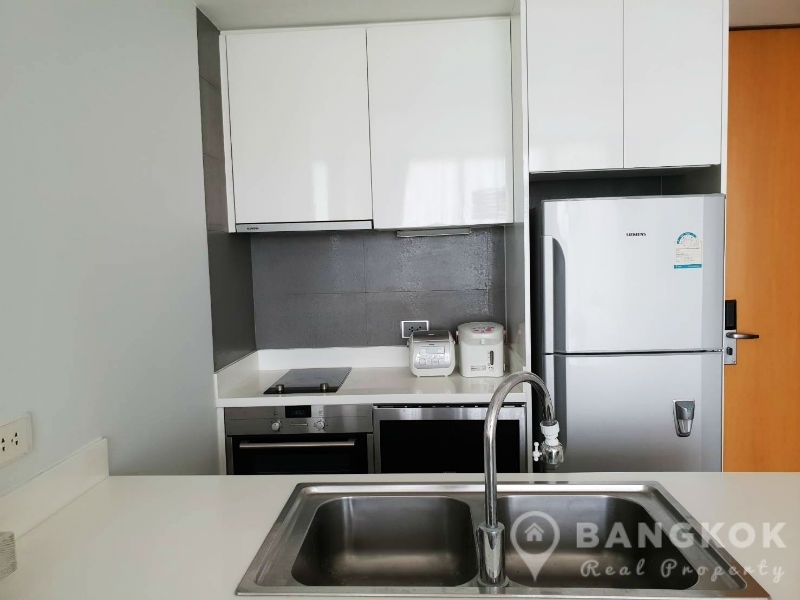 The kitchen has built in electric ceramic hob & extractor fa, built in stainless steel electric oven and fridge freezer. 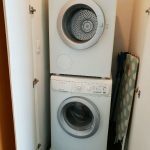 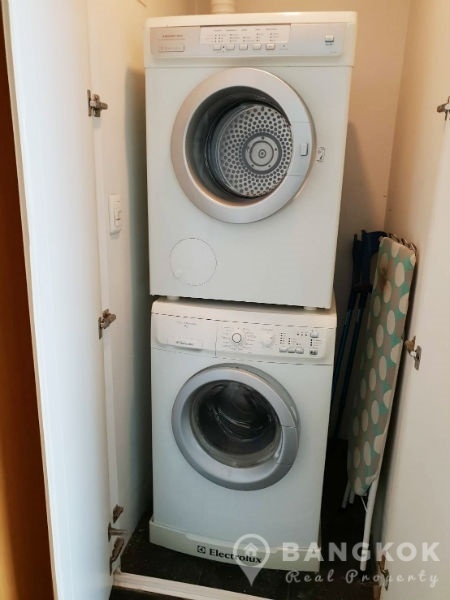 In a utility cupboard there is a washing machine (front loading) and separate drying machine. 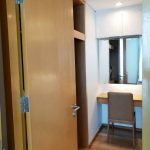 The generous sized bedroom with large wardrobe and dressing table desk open to the ensuite bathroom with bathtub and separate large power shower with seat. 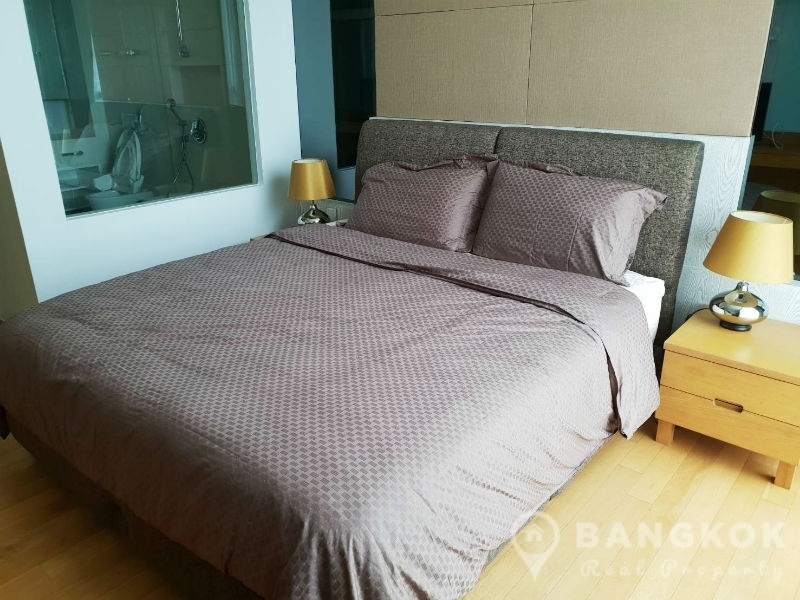 Aequa Sukhumvit 49 is a condominium project, located in the heart of Thonglor on Sukhumvit 49 and just 8 minutes walk from Thong Lo BTS. 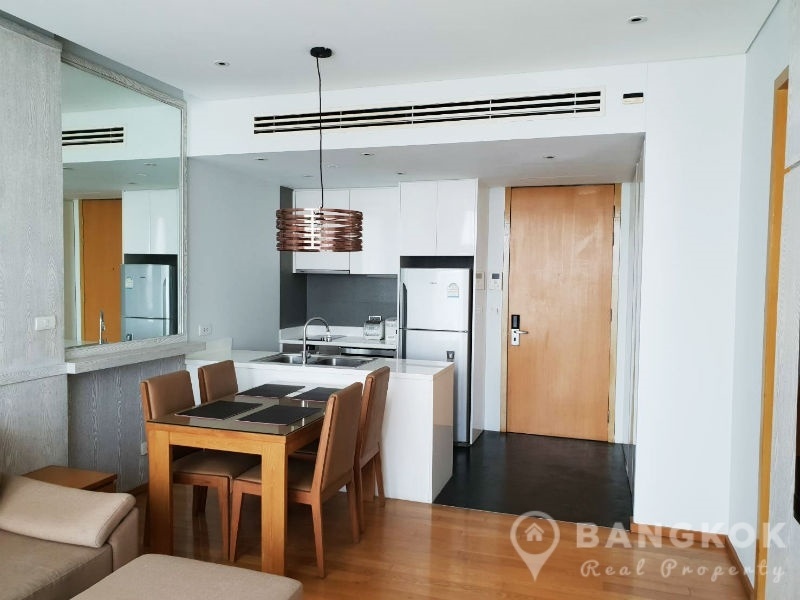 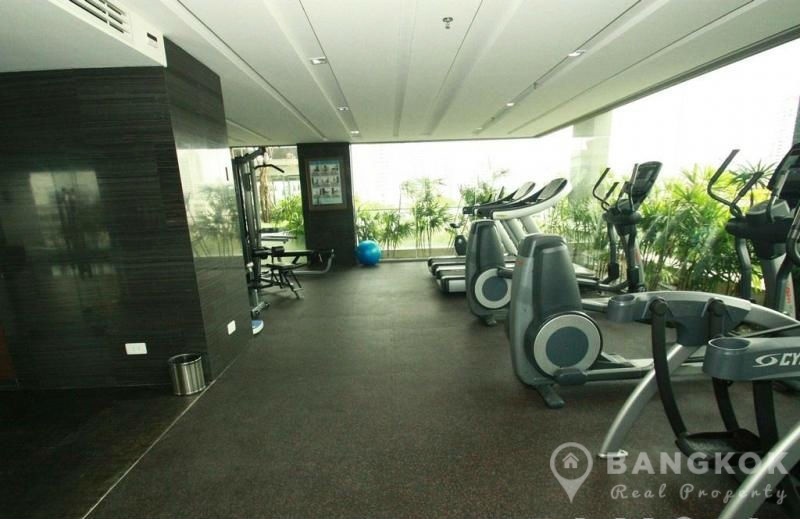 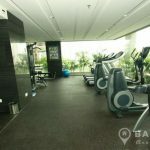 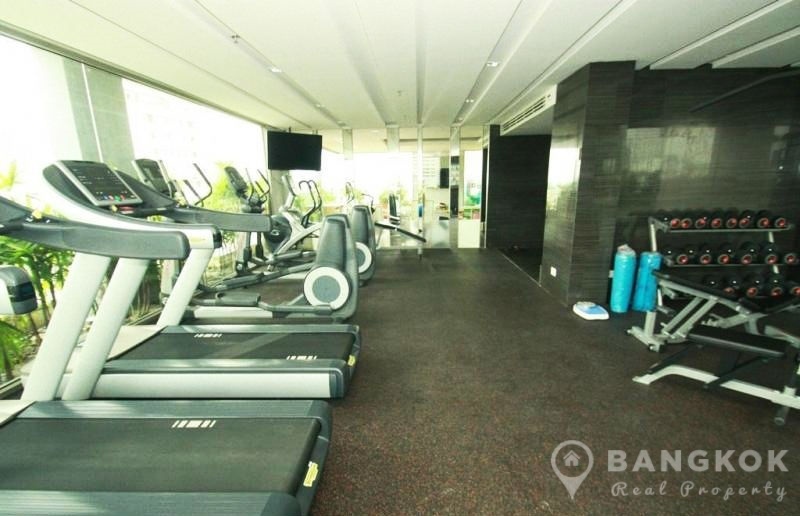 Developed by AQ Estate, Aequa Sukhumvit 49 was completed in 2012 and this high rise project comprises of a single building with 28 floors and a total of 153 units.